Need more colours for your Yamaha MT-15? Here are some options! 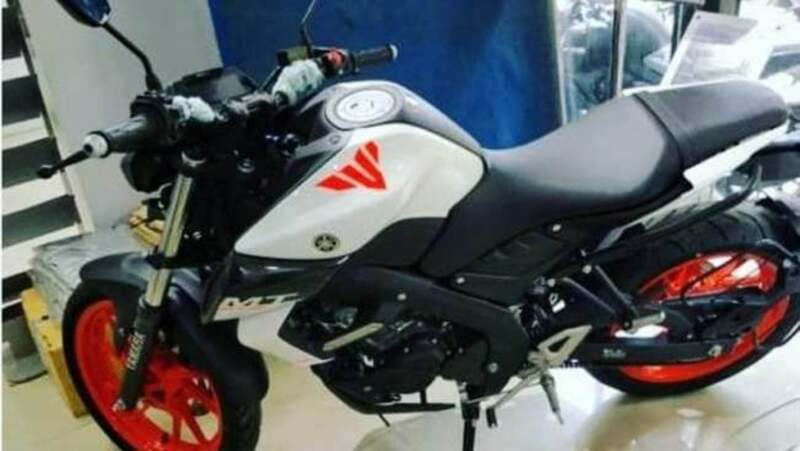 Selective dealerships are offering customized paint jobs for the Yamaha MT-15. Officially, it is available in 2 colour options. Yamaha MT-15 is the newly launched naked streetfighter, based on the popular YZF R15 V3. It was launched in March this year, priced at Rs 1.36 Lakhs (ex-showroom Delhi). Officially, MT-15 is available in two colour options – Metallic Blue and Matte Black. However, selective dealers are now offering the bike with two additional colour options, which are made at the dealership level. It is now offered in White/Orange and White/Black dual tone paint job options. The former colour option offers white body panels with orange graphics and alloy wheels, similar to that found on KTM bikes. In both the additional colour options, white is the base colour. The white-black combo gets blacked out fuel tank extensions, under seat panel, radiator shrouds and the alloy wheels. Rest of the panels are in white. Other than that, there are no other mechanical changes. Currently, the premium payable for these customized colour options is unknown. We expect the dealers to charge nearly Rs 1000 excess over the regular price. Yamaha MT-15 gets a 155cc liquid-cooled DOHC engine, that is capable of producing 19.1 BHP and 14.7 Nm of peak torque. The motor comes mated to a 6-speed gearbox with slip and assist clutch. For suspension purposes, it uses telescopic forks at the front and monoshock suspension at the back. Braking duties are handled by a 282mm disc at the front and a 220mm disc at the back, paired with a single-channel ABS. Features onboard include LED headlamps, ABS, single step-up seat, LED tail lights, Variable Valve Actuation (VVA) system and a fully digital negative-LCD instrument console. 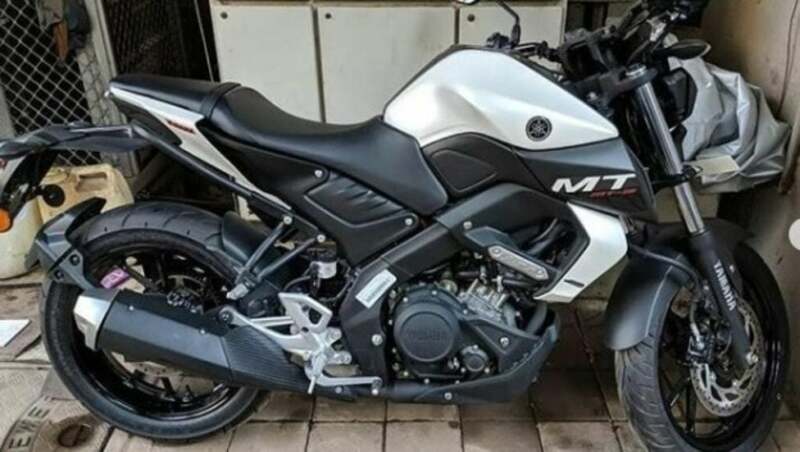 Yamaha MT-15 goes against the likes of TVS Apache RTR 200 4V, KTM Duke 125 and Bajaj Pulsar NS200.